These specifications and guidelines are intended for use by the JWU community, its administration, staff, faculty, students and alumni. It is also a key resource for vendors in creating strong consistent webpages for JWU departments. The official guide to university graphic standards (6.9MB PDF) details all approved methods of using JWU logos, identifiers and other visual elements. Any entity that publishes information on a regular or professional basis uses an editorial style guide (a set of rules for punctuation, spelling, abbreviation, capitalization and grammar). The official guide to university editorial standards (593K PDF) provides a foundation upon which to base writing decisions and help improve the clarity and consistency of all written university communication. Direct all questions to Jennifer Brouillard, senior writer-editor, 401-598-2355. 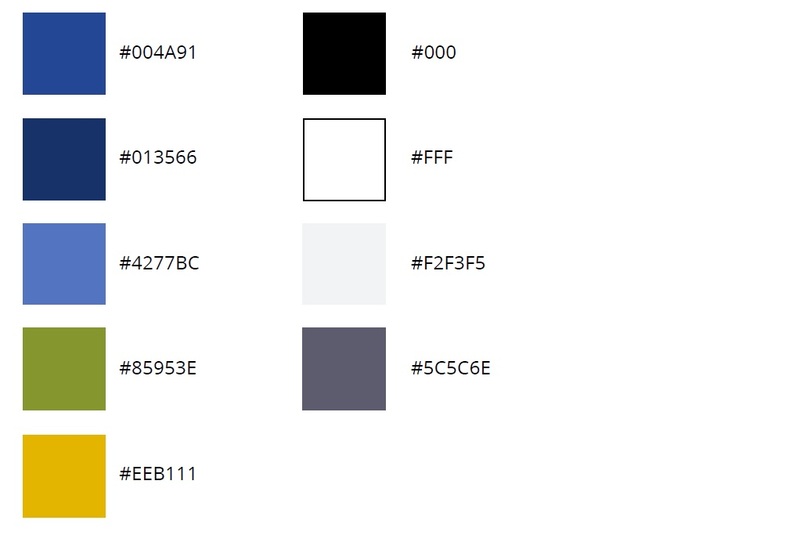 This section of JWU’s Editorial and Graphic Standards lays out usage guidelines for university logos, fonts, colors, photography and other visuals used in digital communications. The application of web graphic standards strengthens the visual identity elements that support the JWU image on its websites and also on the Internet. Consistent and regular use of logos and other identifiers enhances the university’s position as a unique educational institution and helps separate it from similar or competing organizations. A consistent and specific visual identity familiarizes viewers with the institution and provides a basis for a positive experience. Well-composed and properly positioned images enhance the narrative of a webpage. Lighting, spacing, appropriate camera angles and proper color exposure all help convey a mood or feeling. Imagery that is contextually related to the page copy is ideal. Always use the highest possible resolution when creating original photography and graphics. Camera phone images are unacceptable. Submit images containing flat solid color, such as logos and vector graphics, as AI or EPS files. Submit photos as TIFF, PSD, RAW, and JPG. Do not use copyrighted images without written notification of permission. Verify that people in photos who are not JWU students have signed a Model Release Form (39K PDF). See Graphic Standards for additional information. Attach any helpful documents to the request. Once the request is received by the IT Service Desk, you will receive an incident number regarding the request. Please contact the IT Service Desk at 866-598-4367 or it@jwu.edu with any questions. The university photographer's mission is to create and capture images with the sole purpose of marketing the university. Telling the JWU story through engaging visuals to support new student recruitment is central to that work, and the post-production element of the role is much more time intensive than being behind the camera. Evaluating the overall time demand balanced against the opportunities inform the allocation of resources. To do this and to support the needs across JWU’s four campuses, Digital Communications drafted the following guidelines for requesting these resources. Assignments are made based on strategic content needs and opportunities. Before submitting your request, please keep in mind that the overriding priority for Digital Communications resources is to focus on marketing to prospective students and their influencers. Requests should be made far in advance (when appropriate). An outline of the objectives, end goal and ultimate usage should be part of the request. Please be mindful that a substantial amount of time is required post-production to properly download, edit and catalog the content. This is factored into the equation when considering a request. Does the need directly support new student recruitment? Is there a clear objective of the project/shoot? Will the end product have multiple applications (i.e. social, web content, marketing materials)? Will the result produce content with a reasonable shelf life (2 years)? If you have any questions you may also contact Mike Cohea directly at 401-598-2470. 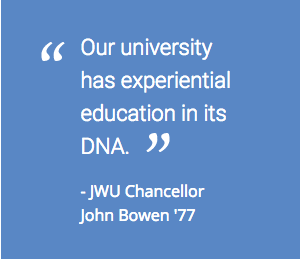 These university and campus fact sheets provide a quick summary of Johnson & Wales University’s mission, strategic plan and key facts and numbers relevant to the entire JWU community.